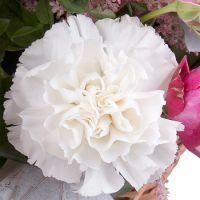 Carnation white(3 pt. ), Bouvardia(5 pt. 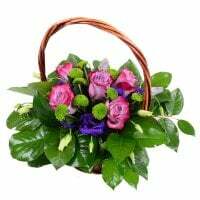 ), Rose Bombastic pink (3 pt. ), Autumn leaves(1 pt. ), Greens(1 pt. ), Basket(1 pt. ), Oasis(1 pt. ), Brassica white(1 pt. ), Астильба(2 pt.). 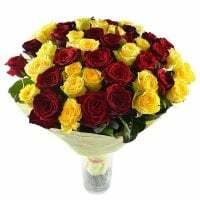 Birthday, Business, Colleague, Compositions, For grandmother, For her, For mother, Girlfriend, Gratitude, Recover, Teacher. 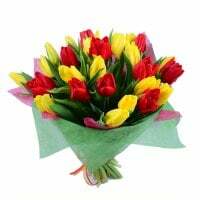 The marvelous bunch of expressive flowers is a true embodiment of pure grace. 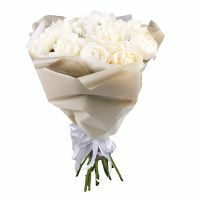 Amazing mix of white carnations, Bombastic roses, elegant brassica, bouvardia petals, autumn leaves, the green and traditional oasis is a refined way to express delight and admiration, which represented in the shapes of a magnificent basket. 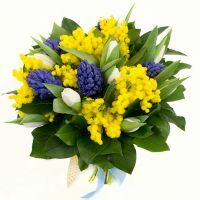 Bouquet «Marshmallow lightness» is the variety of soft flowers, gently decorated by the best florists. 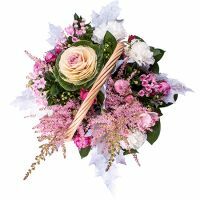 This flower basket will become a great present for your close ones, filling out the surrounding space with delicate aromas and particular colors of the fairy gift. 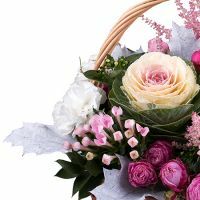 Regardless of an occasion or holiday, you choose to give the present, and a person to receive, be sure, this composition will make the day truly unforgettable! Attention! 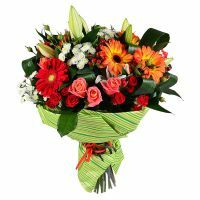 Bouquet decoration may differ from the images displayed on our site.